Intuition. Psychic ability. You know you have it, but do you know how to access it? 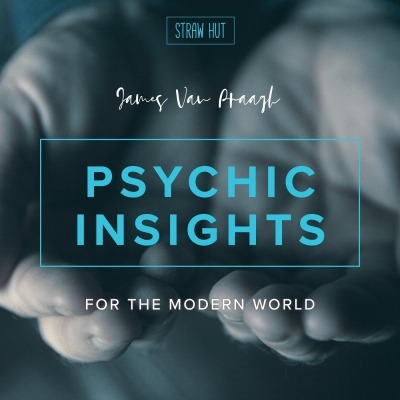 Internationally renowned medium James Van Praagh has a brand new podcast to help you do just that. "Psychic Insights for the Modern World" is a place where any listener, familiar or unfamiliar, can discover their soul's true voice and learn to use important spiritual tools to navigate the currents of this earth and overcome feelings of anxiety and loneliness. Besides his numerous New York Times bestselling books, a nationally syndicated television show, and the success of The Ghost Whisperer, James has also appeared on Oprah, Ellen, Larry King Live, The View, and Chelsea Lately (among many others). Most recently, he launched The James Van Praagh School of Mystical Arts, an online school offering audio and video courses, professional certifications and more. Check out his blog, follow him on social media, and make sure you subscribe to his podcast for insights and messages from the spirit realm.